The wall at the West Caicos Marine National Park. 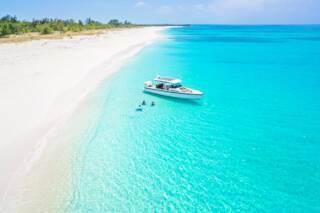 This protected region offers several of the finest dive sites in the Turks and Caicos. 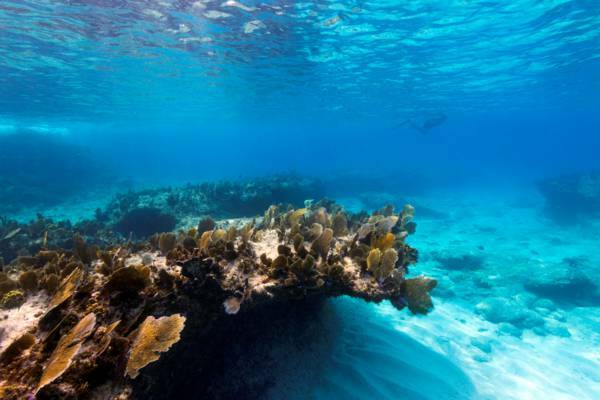 Because the wall and barrier reef is found off the west side of West Caicos, the reefs here are usually protected from the typical east southeast trade winds. The snorkelling along the coastal cliffs is also spectacular. 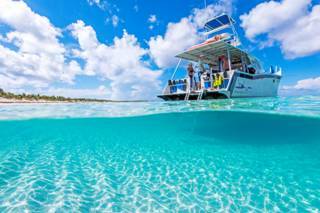 The incredible water of the West Caicos Marine National Park. 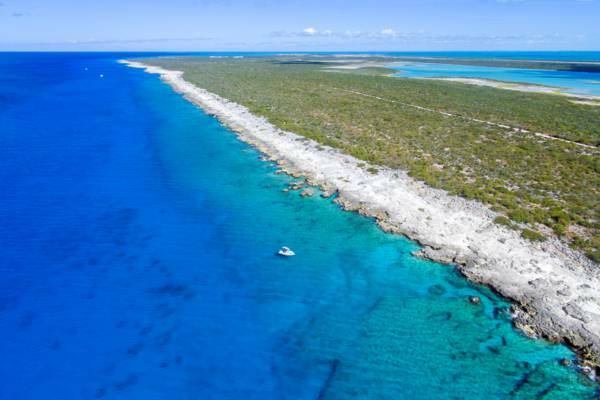 The West Caicos Marine National Park is a 981 acres (397 hectares) protected area off the west coast of West Caicos, and includes much of the ocean fronting the west side of the island. This national park is home to several of the country’s top dive sites, excellent snorkelling, and interesting geology. The Turks and Caicos Islands are situated on shallow submerged plateaus, and the edges of these plateaus, or walls, as they are commonly referred to as, are typically quite abrupt, with sheer and abrupt depth changes from 30-60 foot (9-18m) at the top of the wall to great depths below. Over a dozen poplar dive sites are found in the West Caicos Marine National Park, including many of the sheerest wall dive sites in the Turks and Caicos. The drop-off at these sites are quite impressive, with 45ft (14m) depths falling away into the thousands. For information on experiencing these underwater sights and reefs, see Providenciales SCUBA Diving. The beach at Bernard Bay in the West Caicos Marine National Park. 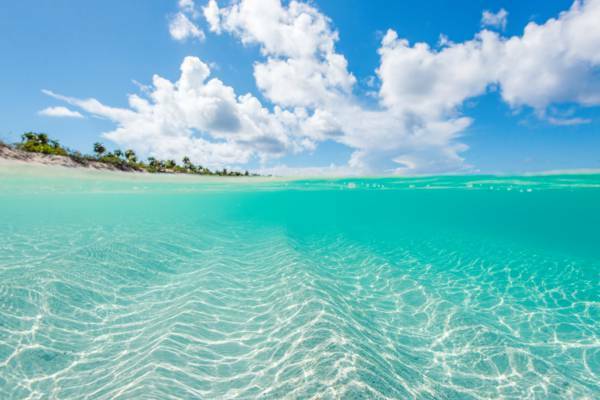 The west coast of West Caicos experiences some of the clearest ocean water in the Turks and Caicos, and the coastal snorkelling in unmatched. The setting is unique – low limestone cliffs are interspersed by small coves, the ocean floor of the coves are typically sandy, and beautiful patterns are created by the wave action. Elkhorn coral, purple and yellow sea fans, and colourful reef fish thrive along the coast, and due to the adjacent deeper water, it’s possible to see stingrays, eagle rays, nurse sharks and turtles gliding by as well. There’s excellent cliff jumping as well. You’ll be able to find spots with heights ranging up to about twenty five feet (8m). Snorkelling at the cliffs of West Caicos. Although not park of the marine national park, the abandoned ruins of the Victorian-era Yankee Town can be seen close to the coast. This site was the centre of the short-lived sisal industry on West Caicos, and buildings, a steam traction engine, and primitive kerosene engines still stand the test of time and are hidden in the vegetation. The nature reserve of Lake Catherine is adjacent to Yankee Town, and a manmade small-scale railroad causeway still divides this marine pond. Similar to the guano and sisal rail system on East Caicos, this transport infrastructure utilized rail carts pulled by donkeys, and transported the sisal crop from the fields to Yankee Town for processing, bailing, and export. Today, Lake Catherine supports a wonderful diversity of wading birds, including flamingos, reddish egrets, great blue herons, and pelicans. 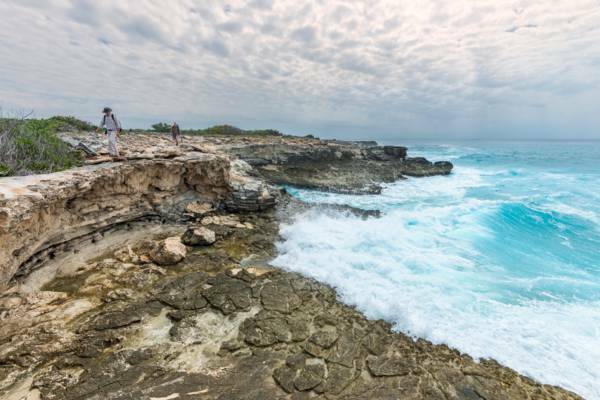 The limestone coastal cliffs fronting the West Caicos Marine National Park hides amazing fossilized marine life, and ancient corals and shells can be seen in the limestone bedding. As in any protected area in the Turks and Caicos, littering and any type of fishing are prohibited. Removal of any natural objects or historical artefacts is likewise illegal. West Caicos on a stormy day. Ocean Frontiers is a boutique and private eco-friendly charter that visits the incredible and out of the way locations that make the Turks and Caicos such an amazing destination. Discover spectacular beaches, reefs, and sights aboard a luxurious 37 foot Axopar boat. Last reviewed by an editor on 15 April 2019.